The Mental Wealth Festival - organised by City Lit and Beyond Words - ran for three days (12-14 September 2017) across three different venues in London. This year the festival featured over 100 talks, debates and workshops by more than 100 contributors, from politicians to health sector innovators, mental health campaigners to business leaders, to famous arts institutions and leading charities. The Mental Wealth Festival provided a forum for informative, challenging and inspiring discussions and workshops exploring mental health issue. We welcomed award-winning mental health campaigners and festival ambassadors Jonny Benjamin MBE and Neil Laybourn, familiar to many through the ‘stranger on the bridge’ documentary. They hosted a panel discussion on suicide and prevention and were joined by former professional footballer Clarke Carlisle, Angela Samata, presenter of BBC1 'Life After Suicide', Rory O'Connor from Suicide Research Lab and Simon Gunning from CALM. Former NHS director Mandy Stevens interviewed journalist Bryony Gordon on how and why she hid her mental health issues for so long as well as the impact her OCD had at it's worse and how she is coping with it now she is in recovery. Mandy Stevens also hosted three other sessions talking about her own experiences and how she is managing her own mental health. Baroness Sheila Hollins hosted several sessions including a panel discussion on family carers of children and adults in need of extra understanding because of mental health or developmental difficulties. She was joined by Sean Fletcher (journalist and radio broadcast personality from Good Morning Britain), Luned Tonderai, Marcella Cooper and Phil Chamberlain. 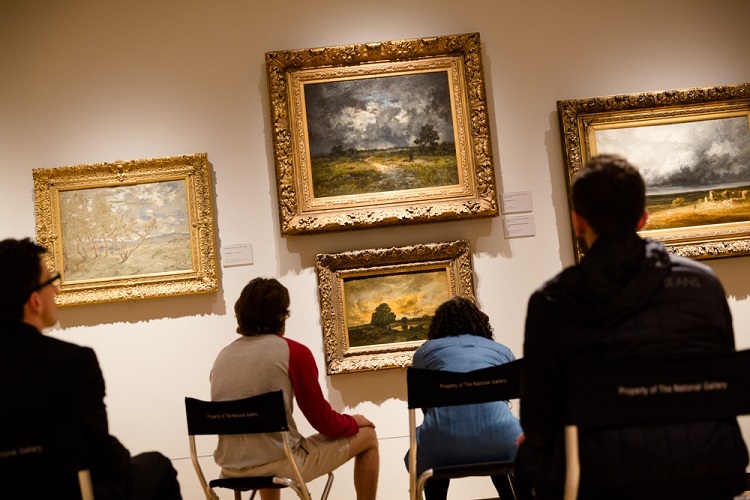 In partnership with the National Gallery there were also sessions at the gallery, including a special event with Ed Balls who talked about his life in politics, his Strictly adventures, and his journey around stammering.